Sindicato has quietly crept its way into cigar humidors across the country over the past few years, managing to portray a modern feel with a sophisticated core - both in design and, more importantly, the smoking experience. This holds true with their latest incarnation, featuring a bold venture to partner with the industry’s leading brands, showcasing unique collaborations from the world’s best cigar crafters. 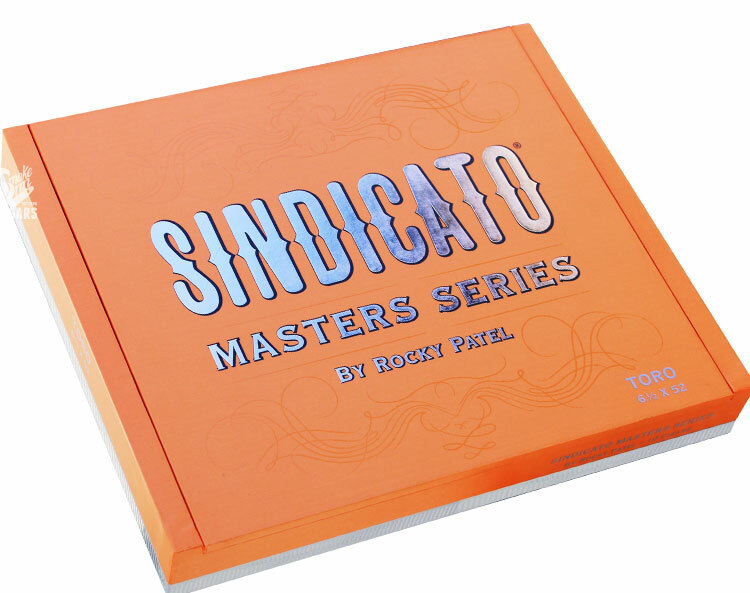 Introducing Sindicato Master Series by Rocky Patel, a limited edition collaboration that gives Rocky the keys to the kingdom. The result is a top secret blend, introduced in a singular Toro size and limited to 2,000 boxes of 10 cigars. Sindicato itself began as a “supergroup” partnership, consisting of many of the industry’s biggest names in manufacturing and retail. This is their expertise. Now see what happens when one of the biggest names in the cigar world gets involved… Rocky Patel showcases a stunning blend fitting of any cigar enthusiast’s humidor. Order now while supplies last!